Welcome! Coralbaycdd.com is the official web page of the Coral Bay Community Development District (CDD). We have established this website as one means of communicating with our current and future residents. Please come in, look around, and learn more about the Coral Bay CDD. If you have questions or need further assistance please see our Contact Us page. Many documents on this site are presented in PDF format. They open in separate tabs in your browser. If you want to save these documents to your computer you are welcome to do so, however they require the use of a third-party program such as Adobe Acrobat Reader® to view. If you want to use Adobe Acrobat to view these document and you do not already have it, you can download it from Adobe.com. Documents presented in RTF format may be downloaded and opened in external program. Located along the northern edge of Margate Florida, the Coral Bay CDD encompasses approximately 236 acres of a community located just to the south and west of the intersection Sample Road (SR 834) and Turtle Creek Drive (NW 62nd Avenue). The Coral Bay CDD owns, operates, and maintains approximately 71 acres of water management tracts, including a 69 acre lake. The Coral Bay CDD has perpetual use of many easements for lake maintenance and flowage purposes. 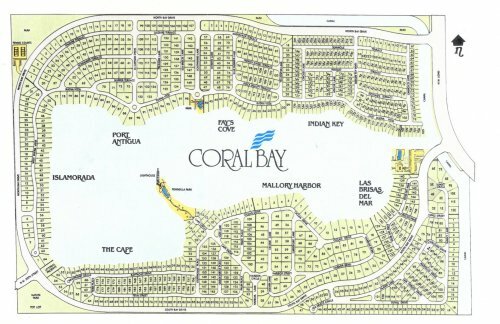 This schematic map shows Coral Bay and it’s lake. Click on the map to open a larger version in a new tab. The Coral Bay CDD is a special-purpose unit of local government authorized by Chapter 189 and Chapter 190 of the Florida Statutes, as amended. The City Commission of Margate Florida created Coral Bay CDD by City of Margate Ordinances 89-22, RZ-3-89, and 89-23 in November 1989, granting those special powers to the CDD as set forth in Section 190.012(1) and (2)(a), and (d) F.S. 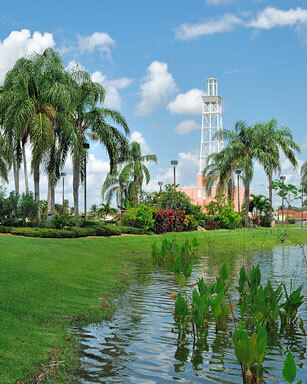 The Coral Bay CDD is organized similarly to other local governments in Florida. The legislative body of the CDD is a five-member board known as the Board of Supervisors (the Board). The Board sets policy for the District in accordance with Florida law. The Board, by law, must hire a District Manager and District Counsel. Staff members operate in a manner very similar to a County Administrator and County Attorney. District Management staff and the District Attorney administer the operations of the District and implement the Board’s policies and contracts. The Coral Bay CDD is responsible for creating and managing a budget and determining the annual CDD assessment. Public hearings are held on Coral Bay’s CDD assessments and the Coral Bay CDD’s budget is subject to annual independent audit. The Coral Bay CDD levies its assessments on a per home basis. There ar 997 homes in the Coral Bay CDD currently levied at $1,410.19 per home. Statutory authority for levying these assessment is granted under Florida Statutes Ch. 170.01, 190.021, and 197.3631. The responsibilities of the CDD and the individual Village Associations differ in that Village Associations are responsible for maintaining and enforcing all of the covenants, conditions, and restrictions related to use of homeowners’ property. The CDD is responsible only for Coral Bay’s common areas. If you want to contact one of the HOAs, please see the HOAs page.